Visitors have felt the force of SWGBH.
" I wonder if your feelings on this matter are clear, Lord Vader." For well over a decade, Galactic Battlegrounds modders have been using Ykkrosh's trusty ModEditor and DRS viewer to create new graphics files for the game. These tools have been instrumental in keeping GB alive and well over the years. Today, a new modding tool is taking center stage. The SLX Studio, developed by former SCN Punk designer Tevious, is a brand new modding program containing tools for creating and editing SLP and DRS files. It comes packed with more functionality than ever before and is incredibly easy to learn and use. Convert SLX to SLP / Extract SLP to SLX (and batch versions of these). Support for both 8-bit and 32-bit SLP versions with additional support for 8-bit AoE1 SLPs and all 10 player color indices. Extract or Create DRS files for each game. Double-click graphic image for fast anchor/hotspot positioning. Also support for importing/exporting CSV files. Viewable selection boxes (including rectangular shaped) or selection rings. Generate Data Graphics tool with tolerance bars for shadows and player colors, creates outlines, auto-crops images, and can even split shadows into it's own SLX. This tool is necessary to convert from SLX to SLP format. Color Palette Editor/Viewer that supports multiple formats (Jasc .pal, Microsoft .pal, Photoshop .act, GIMP .gpl, and even rendering as .png images). I've also embedded some palettes, including some commonly used ones. Terrain tools. Create terrain SLPs of any size (rows and columns). Includes conversion tools to create an isometric terrain map from a texture image. Batch Palette Swap tool that can be used to quickly recolor units. Other Batch image tools for recoloring pixels, changing image format, and creating data images. GIF tool with transparency support. SLP and DRS Viewer tools that can save anchor changes. Play animation support for SLX with speed settings. Zoom image support for SLX frames. 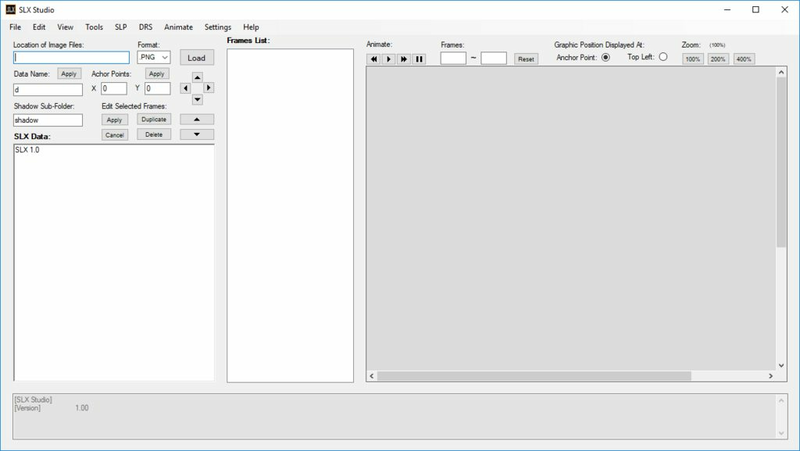 FX Editor tool to draw various effects on frames such as various sparks, weapon fire effects, engine fire effects, transparency, holocrons, relics, and more! Delta Object Positioner tool to determine various object positions for things like snow and fire on buildings. Positions can be exported as CSV files to then manually imported into AGE. The SLX Studio can be acquired from our Download Section! You can learn more about the SLX Studio in our Forums! The official Trailer for Star Wars: The Last Jedi, has been released! Check out the video on the Star Wars YouTube channel below. The Last Jedi is scheduled to hit theaters on December 15th, 2017. Come and join the discussion on our Forums! The first official Teaser for Star Wars: The Last Jedi, has been released! Check out the video on the Star Wars YouTube channel below. The Last Jedi is scheduled to hit theaters on December 15th, 2017. The second official trailer for Rogue One: A Star Wars Story was released today! Check out the video on the Star Wars YouTube channel below. Rogue One released on 16 December, 2016. New Rogue One Trailer Released! A new trailer for the upcoming Rogue One: A Star Wars Story has premiered at the Rio Olympics! Check out the official video on the Star Wars YouTube channel below. Rogue One is slated to be released 16 December, 2016. Rogue One Teaser Trailer Released! It's a great day for the galaxy. Today, the teaser trailer for the upcoming Rogue One: A Star Wars Story (set to premiere on December 16, 2016), has been released! Check out the official video on the Star Wars YouTube channel below. Star Wars: Galactic Battlegrounds Saga is now on Steam! Starting today, the Star Wars: Galactic Battlegrounds Saga is now available on Steam for $5.99. Alternatively, you can purchase a Steam code for the game, along with a bunch of other awesome Star Wars titles for as little as $1 through the new Humble Star Wars Bundle. Star Wars: The Force Awakens Official Trailer! A new trailer for Star Wars: The Force Awakens has been released! The Force Awakens is planned to be released in theaters December 18th, 2015. You can learn more on the film's official site. Come join the discussion on our Forums! Star Wars: The Force Awakens' Second Teaser Debuts! The second teaser trailer for J.J. Abrams' continuation of the Saga made its debut at the 2015 Star Wars Celebration in Anaheim, California. Star Wars Galactic Battlegrounds: Saga and other LucasArts Classics Now Available on GoG! It's time to dust off your keyboard, toss away your old discs, and leap right back into the glory days of Star Wars games! If you're looking to play GB online, don't forget to look up GameRanger and Voobly. Want to celebrate with everybody else? Come join the discussion on our Forums! Have a great 2015, everybody! As of 22 January, Star Wars: Rogue Squadron 3D, Star Wars: Rebellion, and Star Wars: Empire at War Gold Edition have been added to the GoG library. As of 27 January, Star Wars: Republic Commando, Star Wars: Starfighter, and Star Wars: Dark Forces: Jedi Knight II round out the second wave of GoG's LucasArts releases. Imperial news managed by NewsPro. » Second Rogue One Trailer! » New Rogue One Trailer Released! 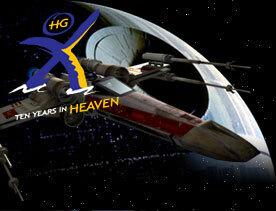 SWGBH Copyright © 2001-2005 HeavenGames, LLC. All Rights Reserved.